The Best Women Financial blogs from thousands of top Women's blogs in our index using search and social metrics. Data will be refreshed once a week. Also check out Women Financial Youtube Channels. Women Financial newsletter is a comprehensive summary of the day's most important blog posts and news articles from the best Women Financial websites on the web, and delivered to your email inbox each morning. To subscribe, simply provide us with your email address. Los Angeles, CA About Blog My Fab Finance is an award-winning personal finance site dedicated to helping millennial women change their money story and become their own fabulous. Follow this blog as we help you become financially free so you can do more of what you love. Facebook fans 15,024. Twitter followers 18,811. Columbus, Ohio About Blog Natalie Bacon went from lawyer to financial planner to online entrepreneur. She designed her dream life and her passion is to help others design theirs through personal development, financial intelligence, and online business. Natalie Bacon encourages women to make and save money and design a life they love. Her blog is the ultimate "modern girl's survival guide." Follow this blog and get more tips on saving money and finance. Facebook fans 7,159. Twitter followers 4,849. United Kingdom About Blog Welcome to Money Nuggets, a career and personal finance blog that is dedicated to helping women save more, spend wisely and secure their financial future. Follow this blog and get practical, realistic and common sense approach to money management that will help take positive action towards developing money management skills and enriching lives. Facebook fans 1,287. Twitter followers 8,037. Pittsburgh About Blog Thinking women's money blog. Here on Femme Frugality you’ll find articles about specific things I’ve done to handle my finances as they pertain to each area of my life. Follow this site and get commentary on women's finance and current events in the financial world. Facebook fans 259. Twitter followers 10,600. San Jose, CA About Blog Hilary Hendershott Wealth Management, a leading financial advisory firm for women, was founded by Hilary Hendershott, a fiduciary financial advisor and Certified Financial Planner with over 17 years in the industry. Hilary’s mission is to motivate women to be financially empowered and support women in their financial journey. Follow her blog and get affordable unbiased financial education and training to individuals who are committed to building and preserving wealth. Facebook fans 2,527. Twitter followers 6,193. Canada About Blog Launched in 2008, Golden Girl Finance is Canada’s media leader in financial content for women. We create original and unbiased financial content to educate and inspire Canadian women about investing, personal finance, retirement, philanthropy, and the psychology of money. Follow this site and get content on how to manage finances and money. Facebook fans 2,523. Twitter followers 3,292. United States About Blog The Women’s Institute for Financial Education (WIFE.org) is the oldest non-profit organization dedicated to providing financial education to women in their quest for financial independence. Follow this site and find articles, information and help for women and money. Facebook fans 4,528. Twitter followers 1,779. Facebook fans 235. Twitter followers 248. Singapore About Blog The New Savvy is the definitive financial and career guide for women. The New Savvy aims to empower smart, modern and independent women through meaningful content that are relevant, practical and interesting. Facebook fans 47,996. Twitter followers 2,050. Facebook fans 2,602. Twitter followers 16,974. Sydney, New South Wales About Blog SugarMamma.TV is your go to for Financial Coaching, Counselling and Creation. Inspiring a powerful financial movement, promoting financial independence and education. Showing everyday women how to instantly change and improve their relationship with money and finances, with easy bite size steps. Facebook fans 11,054. Twitter followers 687. New York, NY About Blog Women’s World Banking is the global non-profit devoted to giving more low-income women access to the financial tools and resources essential to their security and prosperity. Facebook fans 13,476. Twitter followers 18,607. About Blog The Lady in the Black is a personal finance blog for women. Women have unique perspectives on life, including how to manage personal finances, get out of debt, and save for the future. San Diego, CA About Blog You are in control of your financial education. Let us ditch the fancy lingo and start learning about money in a way that is fun and relatable. Fee-only financial planner based in San Diego working locally and virtually across the country helping young families, professional and entrepreneurial women, and military families. Facebook fans 1,372. Twitter followers 5,993. South Africa About Blog Woman&Finance is a platform that educates and inspires women to take charge of their finances. We empower our clients with financial tools, tips and techniques through our 1-on-1 personal finance coaching, employee financial wellness programs, workshops & webinars. Facebook fans 4,727. Twitter followers 522. Chicago, IL About Blog Rich Women Rock is a blog and online resource designed expressly for women. Here, we will talk about how to put the past behind you and begin making healthy, smart, and maintainable choices to secure your financial future. About Blog Zaneilia Harris and Harris & Harris is the leading financial adviser serving African American women in the DC, MD, VA area, as well as nationwide. Facebook fans n/a. Twitter followers 2,254. About Blog The mission of Financial Planning for Women is to educate women about personal finance and investing and motivate them to take responsibility for their financial future. Atlanta, GA About Blog Hello! She Makes Cents is a personal finance and lifestyle blog for women that transforms and inspires way to use your cents to live a fab life. Facebook fans 2,379. Twitter followers 1,417. Facebook fans 10,637. Twitter followers 6,787. About Blog Personal Finance Warrior teaches personal finance for women to manage their money and make empowered investment decisions. Facebook fans 301. Twitter followers 9. Australia About Blog Women with Cents is a community established to give you the tools you need to help make wiser financial decisions. Founded by self-confessed finance fanatic and Director of Sova Financial, Natasha Janssens, Women with Cents connects like-minded women and supports them in changing their money habits. Facebook fans 7,517. Twitter followers n/a. Philadelphia, PA About Blog DailyWorth is every woman’s guide to money, career, and business. Our goal is that all women see money not as a source of stress and anxiety, but as one of freedom and empowerment. Financial media platform for professional women focusing on money and business. Follow this site to get tips on money and business. Facebook fans 73,540. Twitter followers 8. Facebook fans 2,267. Twitter followers 6,423. Richmond, Virginia About Blog Candice McGarvey, CFP® changes the way women think about and behave around finances. Candice launched HerDollars.com in 2013 to increase financial wellness in women. Facebook fans 151. Twitter followers 138. Dallas, TX About Blog Girlfriend's, Budget! is a fun and quirky financial blog geared to help women everywhere take back their power and gain financial freedom. Facebook fans 432. Twitter followers 16. Annandale, NJ About Blog Clever Girl Finance provides women with money coaching services, financial advice, financial tips and budgeting tools to inspire them to pursue their dreams of financial independence. Follow this blog to get tips to take charge of personal finance and build real wealth. Facebook fans 4,247. Twitter followers 2,366. Brooklyn About Blog Helping women take control of their finances through personalized financial plans, classes and investment management. Facebook fans 260. Twitter followers 365. Chicago, IL About Blog We Are a Community of Women who are gaining confidence in the matters of money and investing. We are taking control of our financial future by attending learning events and taking advantage of support resources designed especially for women. Facebook fans 497. Twitter followers 122. Australia About Blog Financial Executive Women (FEW) was developed to provide a Career Advocacy Programme for successful women within Financial Services. Facebook fans 191. Twitter followers 121. About - SavvyWoman’s aim is straightforward: to help women everywhere get more from their money. Whether you find it easy to manage your money or feel that money slips through your fingers without you noticing, you’ll find something on the SavvyWoman site to help you become a little richer. About - We are a team of qualified and experienced, whole of market, female financial advisors, whose focus is to provide our clients with a five star quality service. 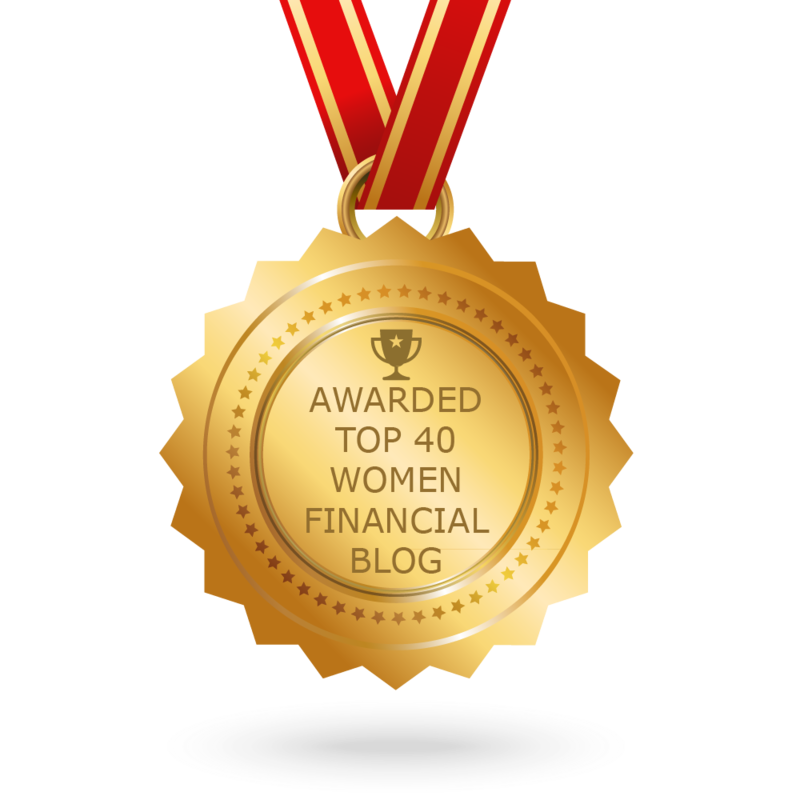 CONGRATULATIONS to every blogger that has made this Top Women Financial Blogs list! This is the most comprehensive list of best Women Financial blogs on the internet and I’m honoured to have you as part of this! I personally give you a high-five and want to thank you for your contribution to this world.